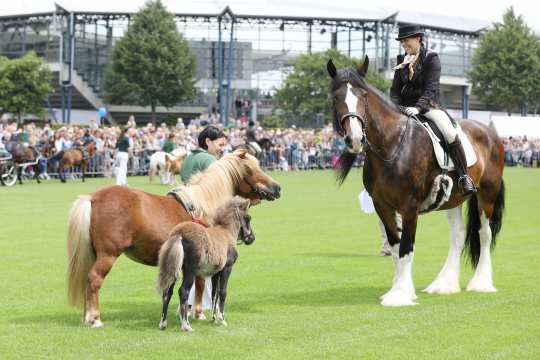 Opening Ceremony, Horse & Symphony and co. 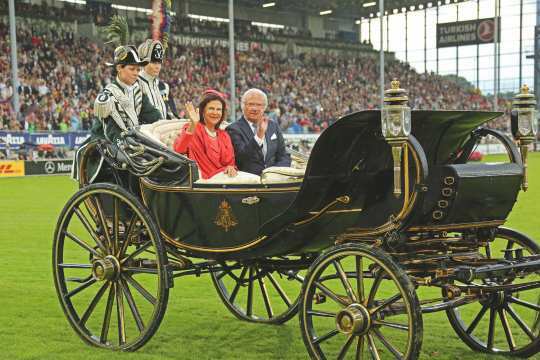 First-class competition sport – that is what has distinguished the CHIO Aachen for years. The World Equestrian Festival wouldn’t be what it is without its special kinship to the sport, gripping emotions and the unique flair. Hundreds of thousands of visitors come to the Soers year after year, because they share a passion – and want to spend an unforgettable time here. So, the supporting programme is a significant part of the event. 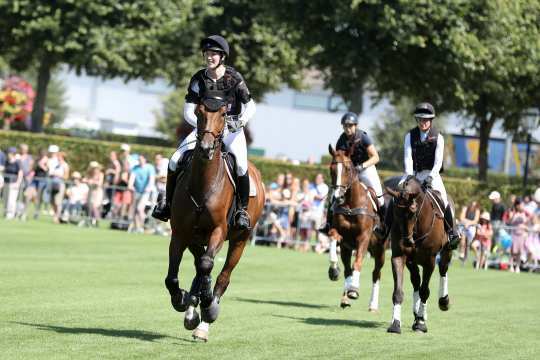 A thrilling show programme is integrated into the 10 days of top-class equestrian sport, which offers diversity and goose bump moments. 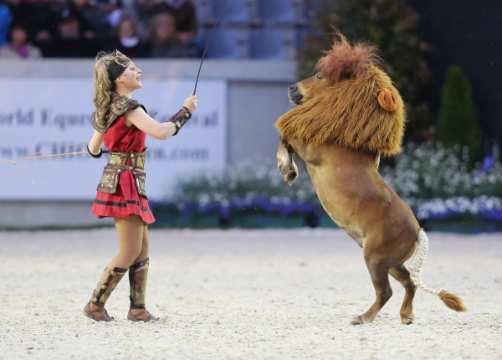 The CHIO Aachen is more than an equestrian show! 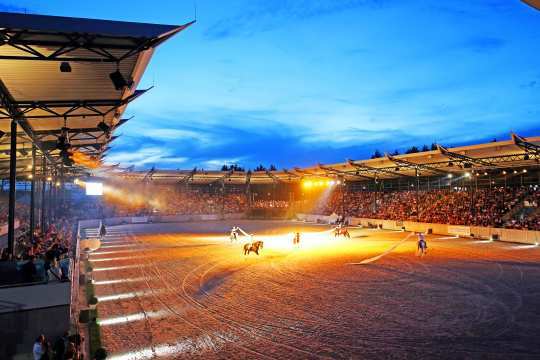 The “Horse & Symphony” concert at the CHIO Aachen 2019 promises to be an exceptional experience. Show programme with live music. 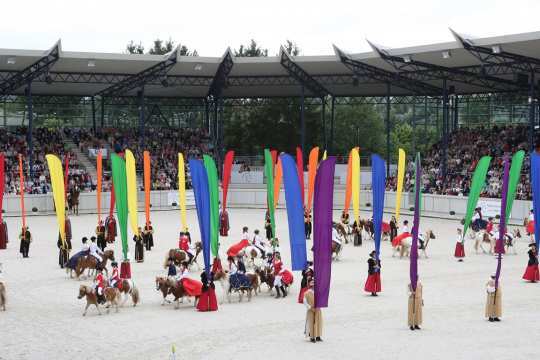 A tradition since 1953: The emotional closing ceremony of the CHIO Aachen. Accompanied by the sounds of the German folk song "Muss I denn" and waving with white handkerchieves, participants and spectators say good-bye to each other. 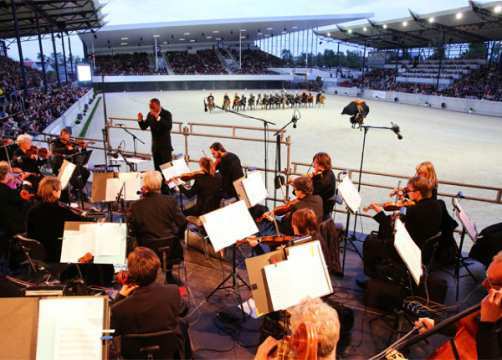 Symphony Orchestra Aachen meets top class show programme in the Deutsche Bank Stadium on Saturday, July 13th, 2019. Open Day, July 14th, 2019. 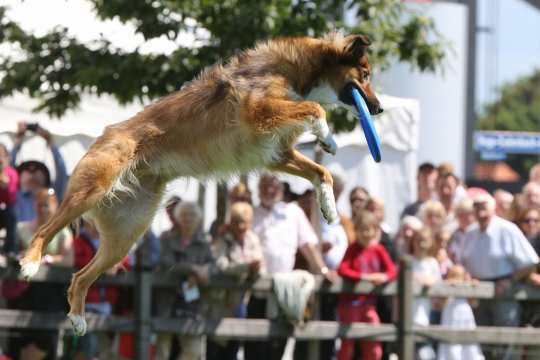 The people from Aachen and their guests from the entire region meet up at the Soers for the “Open Day”, for which there is no admission charge. An action-packed show programme, a festive ecumenical church service in the Deutsche Bank Stadium and an entertaining supporting programme for families including face-painting for children, pony rides and many other offers turns the day into an enjoyable prelude to the second week of the event. 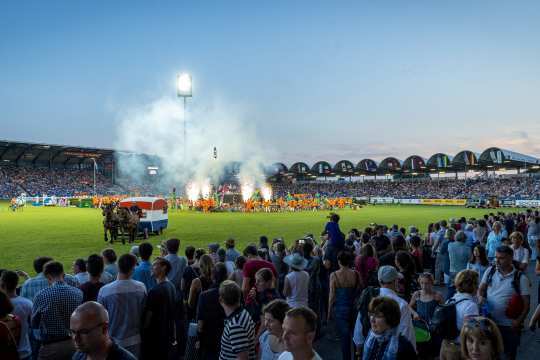 The official Opening Ceremony of the CHIO Aachen 2019 on Tuesday, July 16th (Main Stadium) is the first colourful highlight of the event. 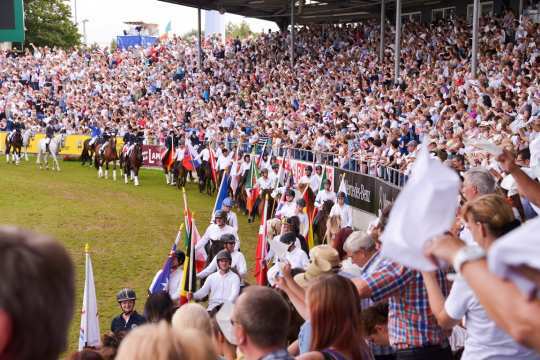 After the huge success of the Opening Ceremony last year, the Opening Ceremony of the CHIO Aachen 2019 is also going to be a spectacular evening event. 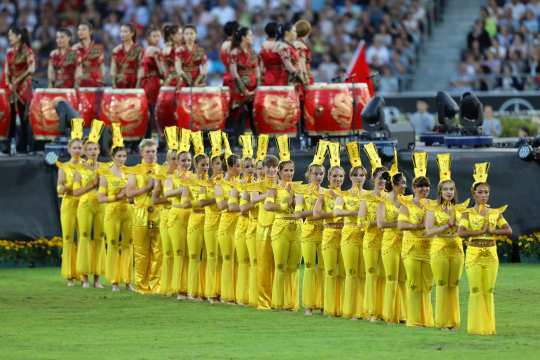 A spectacular show: The opening ceremony 2017. 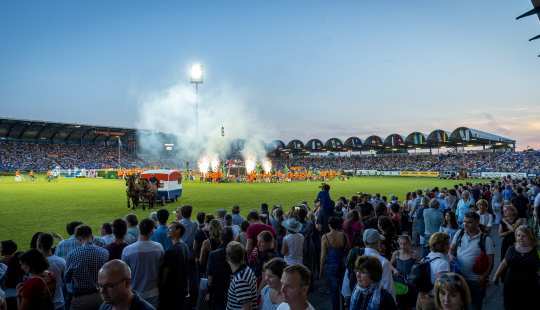 The emotional closing ceremony of the CHIO Aachen on July 21st, 2019. 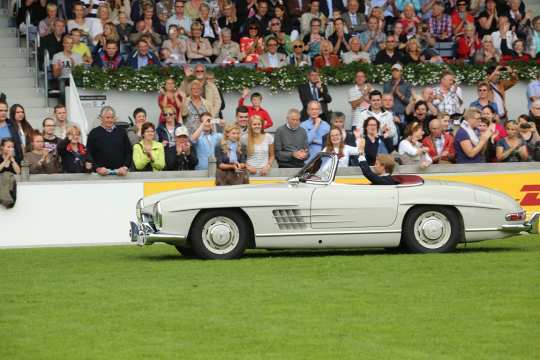 A tradition since 1953: Accompanied by the sounds of the German folk song “Muss I denn” and waving with white handkerchieves, participants and spectators say good-bye to each other. 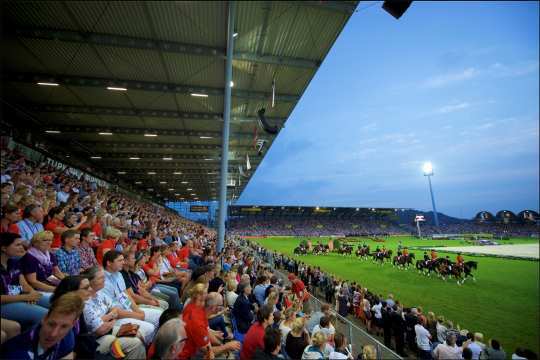 Opening Ceremony at CHIO Aachen 2018. 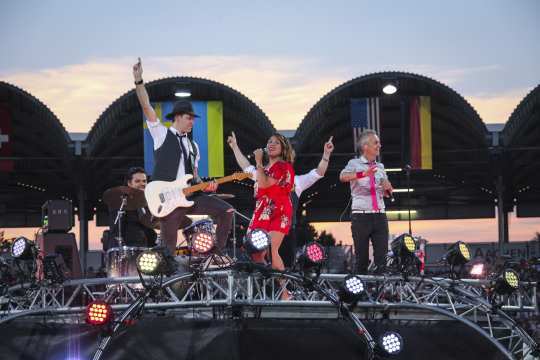 Hermes House Band at CHIO Aachen Opening Ceremony 2016.